I am currently at a cosmology workshop in Santa Fe, New Mexico, and rather than post a paper summary today I’ve decided to discuss a cool research tool I just found out about that was developed by the Galaxy Zoo team. Some of you may have heard of Galaxy Zoo – we’ve discussed the project in astrobites here and here, and also in our Citizen Science glossary. In brief, Galaxy Zoo is a project that uses the power of crowd sourcing to evaluate data, namely, hundreds of thousands of images of galaxies taken with the Hubble Space Telescope. The creators of Galaxy Zoo realized that while computers are useful for processing many types of data, when it comes to classifying galaxies, nothing is better than the human eye. In the project that I am highlighting today, Merger Wars, people are invited not only to help identify merging galaxies, but also to identify the sorts of scenarios that might have created them. So how does it work? 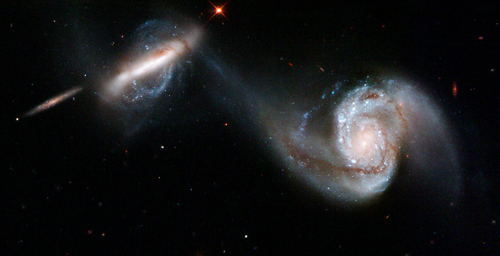 Galaxy Zoo collaborators have already identified thousands of pictures of merging galaxies, like the one of Arp 87 shown at right. But while it is relatively easy to spot a pair of interacting galaxies, coming up with the exact scenario that could create the merger that is seen is non trivial. One way for astronomers to determine the initial conditions and physical processes that explain the observations they see in real life is to create and run simulations with different inputs. In this case, inputs are things like the relative masses and sizes of each galaxy, the initial tilt and rotation of one or both disks, the speed with which the galaxies collide, and more. These inputs are called the “parameter space”. 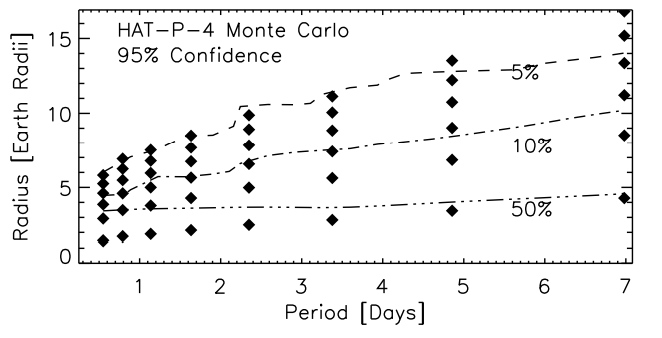 Searching over the entire range of parameter space for each image to find the set of initial conditions that works best for each merging galaxy image would be a huge computational task. So, to speed up the process, the Galaxy Zoo team has created an applet (found here) that allows users (anyone!) to run their own N-body simulations of merging galaxies, and look for results that resemble the image they are evaluating. When a promising result is shown, the user is encouraged to select it as a match. At first, the initial conditions for the simulations are set at random, but when a decent match is found, you can “enhance” it – changing parameters like the disk rotation, number of stars, masses, etc., to try to create an even better match. The results of the simulations, both those that users select as good matches and those that are not, are saved, allowing the Galaxy Zoo team to build up a huge database of the most and least likely parameters for each merging galaxy image. Unfortunately, the data collection for the simulation part of Merger Wars has already closed, which doesn’t mean you can’t play with the simulation applet (it’s fun, try it out), but does mean that further data may not be used in future papers. However, there is a second aspect of the project, the “Wars“, that is ongoing. Now that lots of people have run their own simulations and created promising images, users are encouraged to pit different simulated images against each other and rank which ones are the top matches for the real interacting galaxy pair. Ideally, with enough people ranking enough galaxies, the Galaxy Zoo team will be able to collect a huge sample of likely initial conditions for each merging galaxy in their catalog. This is citizen science at its best – using lots of people to evaluate the massive amounts of data that lots of people created. If you’d like to take part, head to one of the links described above, and happy merging!